A properly executed estate plan seeks to preserve family wealth through all generations. Morris Hall, PLLC offers more than 45 years of experienced, knowledgeable legal services in all areas of life-care law for families seeking to protect the rights of incapacitated minors and seniors. The trusts we create for our clients’ children and grandchildren as part of our clients’ own estate plans can prevent the need for a court-supervised guardianship for a minor — the equivalent of a conservatorship for an incapacitated adult. Minors may not hold legal title to property. Therefore, assets inherited by a minor or received by a minor in a settlement agreement, which do not pass to a trust for the minor’s benefit, generally must be held by a guardian of the estate appointed and supervised by the court. We assist in establishing such guardianships and in legal counsel advising the guardians as to their responsibilities for the minor’s assets. In appropriate circumstances, we may be able to establish a court-supervised trust instead of a guardianship, which can allow greater flexibility. In Arizona and New Mexico, guardianship means control over another person, whether an adult or minor-aged child. A guardian has some authority to hold very limited assets for a minor or adult if there is no conservatorship in place. A conservator is appointed to control the assets of an adult or minor child. By designating successor fiduciaries and agents, we provide protection for our clients in the event of incapacity, without significant costs or court supervision. For those without such estate planning mechanisms in place, however, it may be necessary to establish a court-supervised conservatorship of the estate. 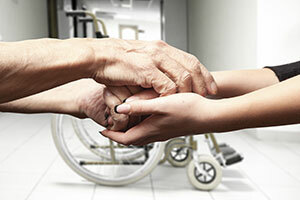 At Morris Hall, our services include determining when such a conservatorship might be necessary, establishing the conservatorship, and providing ongoing advice to conservators — whether family members or professional fiduciaries — with respect to their rights and powers under both state law and the guidelines set by the court. Our attorneys have published professional articles and lead national seminars relating to trust law. Attorneys at Morris Hall are proud members of the American Academy of Estate Planning Attorneys (AAEPA). In addition, Morris Hall has been rated the Top Law Firm in Arizona on multiple occasions by Ranking Arizona. Our law firm is AV rated*. Morris Hall accountants are CPAs, and Morris Hall financial planners are professionally licensed in Arizona and New Mexico.